Given the choice I will always opt for a nice warm bath over a shower any day. I don't often have the time however to have a nice relaxing bath, but when I do I like to go all out with nice candles and bath products. I have had a few bath oils in the past. Molton Brown Davana Blossom Foaming Bath Oil was lovely because you got the benefits of an oil and bubbles in one but sadly they stopped making it. My absolute favourite however is Jo Malone Lime Basil & Mandarin bath oil so delicious you could eat it. The joy of bath oil is that you need very little and it lasts for ages. It nourishes your skin and Jo Malone makes you smell like a fruit grove in Servile beautiful. Jo Malone do such wonderful products and following the bath oil I always follow up with the Lime, Basil & Madarin body lotion which is also divine. 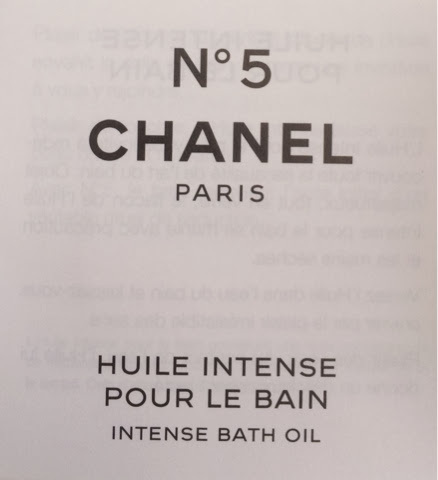 There has been lots and lots of hype about the iconic No5 Chanel - Intense Bath Oil much of it to be honest passed me by. In my mind if a product is good it sells itself. No5 holds fond memories for me. 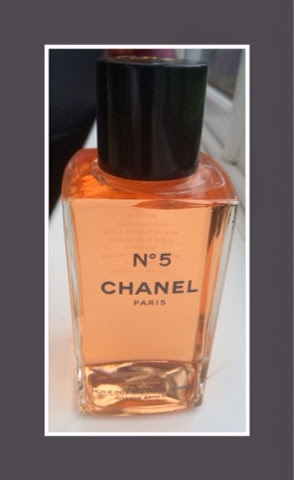 I remember well growing up with No5 perfume being a firm favourite of my mum and aunt. It still is for that matter. 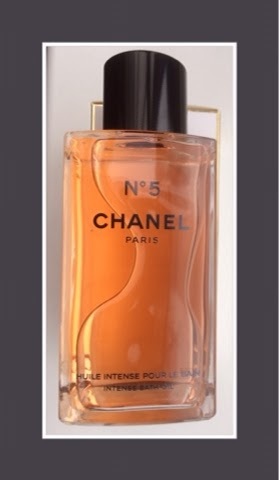 So when I got a bottle of No5 Chanel - Intense Bath Oil as a present and as a lover of baths I was really excited to try it out. 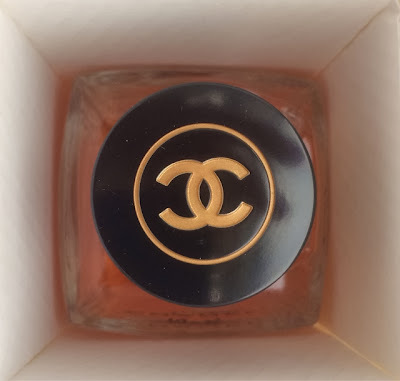 The packaging and bottle is true to the tradition of No5 Chanel. It is iconic and beautiful. The glass bottle is lovely looking and looks fantastic on the bathroom shelf. As with any bath oil it is important to gently shake the bottle to mix the oil up. I strongly suggest doing this with dry hands. Only a few drops of the pink oil is needed, pour under warm water and a cloudy sweet flowery aroma is released. It does smell true to its Chanel No5 roots and is wonderfully calming and nice to relax in. If you are looking for bubbles then this product isn't for you. I found my skin was lovely and moisturised after using this oil. My skin smelled beautiful and the additional bonus was there is no need for perfume. In summary this is a lovely pampering bath oil that whilst at £65 I would't use everyday I will happily add this beauty to my bathing ritual it is a lovely luxury bath oil. I've not used bath oil in years, but I did used to enjoy it. Mainly because I don't have a tub in my en suite bathroom. £65 is expensive though!